Pujara, who has not managed to get an IPL contract, went across to play for Yorkshire where he gained invaluable experience on batting in overseas conditions. When Indian captain Virat Kohli won the toss and elected to bat first this morning, he could not have foreseen the start his side got off to. There was little seam movement in the first hour, but the approach of the Indian top order left a lot to be desired. Flash and loose strokes outside the off stump resulted in quick wickets in the first hour and just like that, the Australian attack was right on top. However, Cheteshwar Pujara saved India the blushes with a resilient and brilliant, Test innings. He went past 5,000 Test runs and on the way scored one of his best centuries. "It was one of my top innings in Test cricket, I could say top five. I can't rate whether it was one of the best but the teammates who were appreciating said that this is one of the best," Pujara said after the day's play. The right-hander also said that this innings would hopefully convince people that he can score runs in overseas conditions. "It means a lot, but I would also like to say that people say that I've scored more runs in India. But at the same time, you need to look at the number of matches we play in India. So I will obviously score runs there," the Saurashtra-man added. Pujara, who has not managed to get an IPL contract, as yet went across to play for Yorkshire and despite not setting the stage on fire, he gained invaluable experience on batting in overseas conditions. 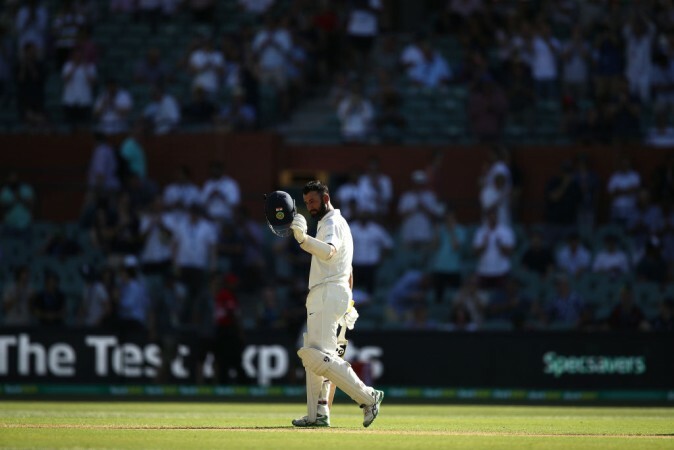 "Playing county cricket has helped me a lot, and playing in England conditions are always challenging and when you come to Australia you know that it is slightly better," Pujara said. India was reckless in their approach against the new ball, said Pujara. He said that other batsmen should have been more careful and applied themselves much better on the surface. "The way they bowled, they bowled in the right areas. I also felt that our top order should have batted better but they will learn from the mistakes," he said. Speaking on the nature of the surface, Pujara said that 250 should be a decent score on this surface and he expects off-spinner R Ashwin to come into play on this two-paced pitch.